Tell your loved one's story, publish it online in minutes, and easily share it with friends and family. 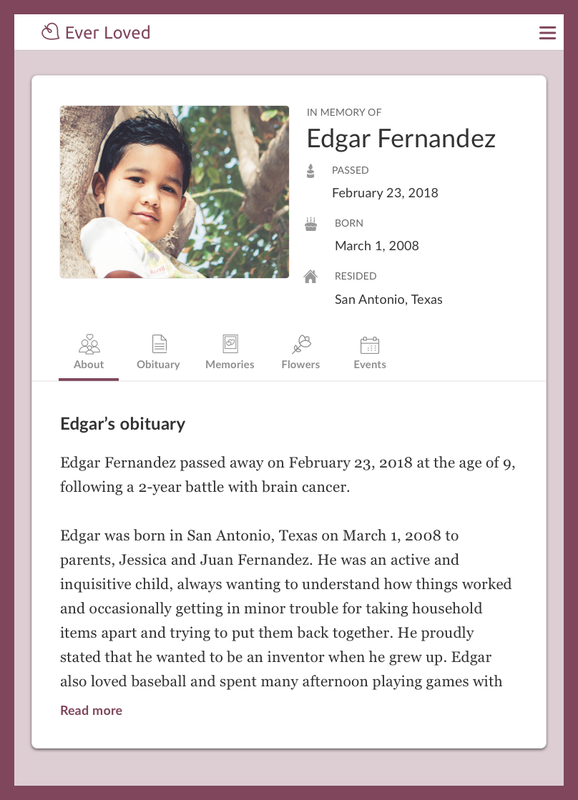 Create a custom webpage with an obituary in minutes. 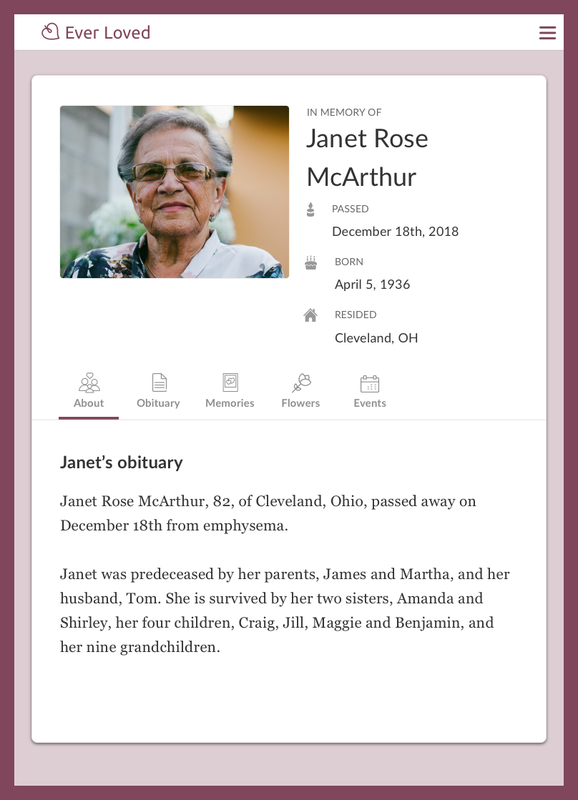 Share the obituary, add basic details on your loved one, upload a photo, and you're ready to go. You'll get a custom link that you can share anywhere. It's also easy to send a beautiful email announcement with a link to the obituary. There's no charge to publish, share or keep the obituary online. We make money through other services we offer on Ever Loved. 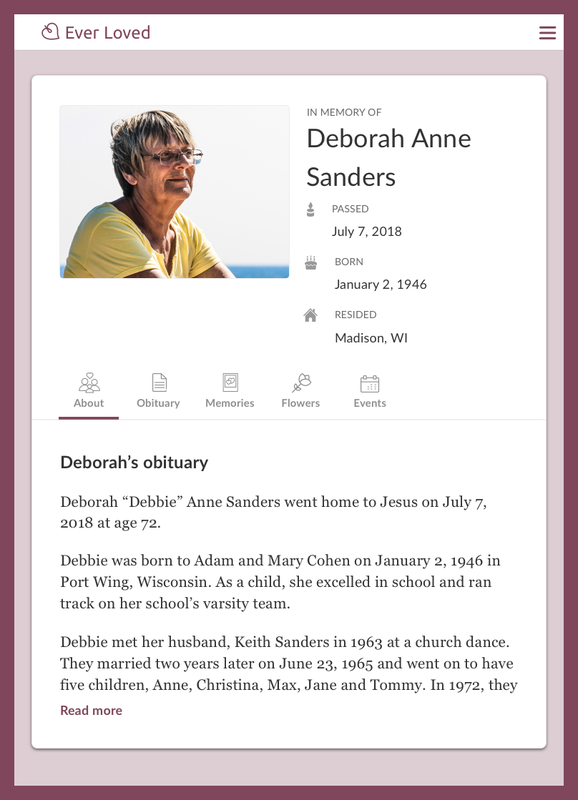 Why publish an obituary online? 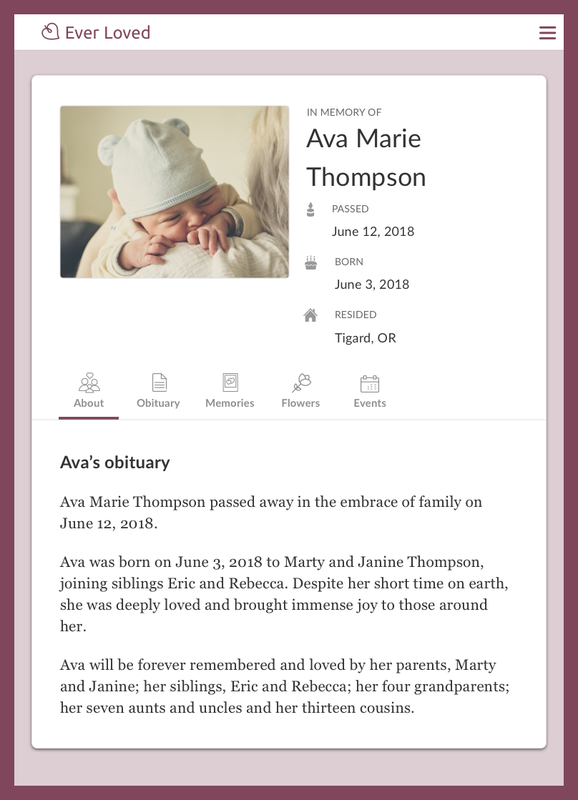 An obituary is a great way to share your loved one's story with the world, but newspaper obituaries usually cost hundreds (sometimes even thousands!) of dollars, despite that fact that fewer and fewer people read the newspaper. When you publish an obituary on Ever Loved, it's easy to share that story with the world and with the specific people who care the most — and all on your own schedule. You can post the link anywhere and easily email it to friends and family. Most people choose to start with "[Name] of [city, state] passed away [unexpectedly/peacefully] on [date] at the age of [age]." Next, it's common to list predeceased and surviving family members. Spend a few paragraphs talking about their childhood, schools, career successes, general accomplishments, passions and/or anything else that you feel defined their life. 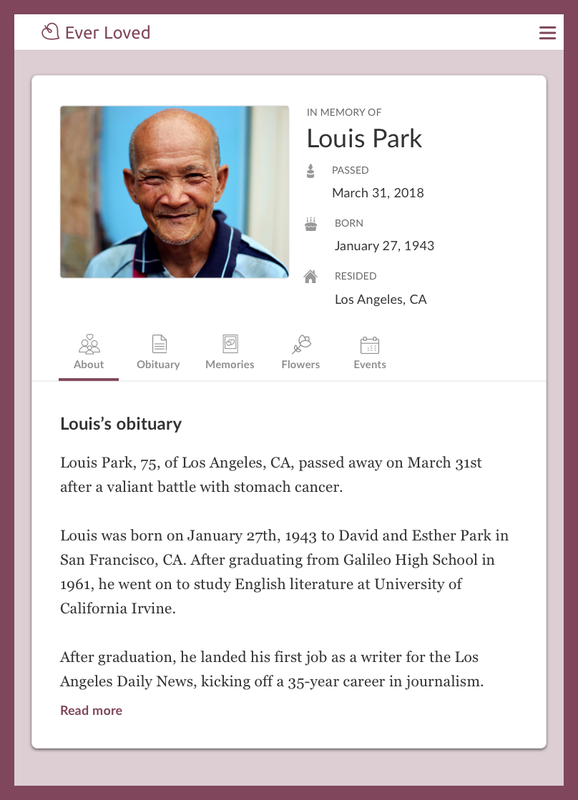 Publish a beautiful online obituary, like one of these obituary examples. Post a free obituary to share your loved one's legacy. Ever Loved is more than just an obituary website.